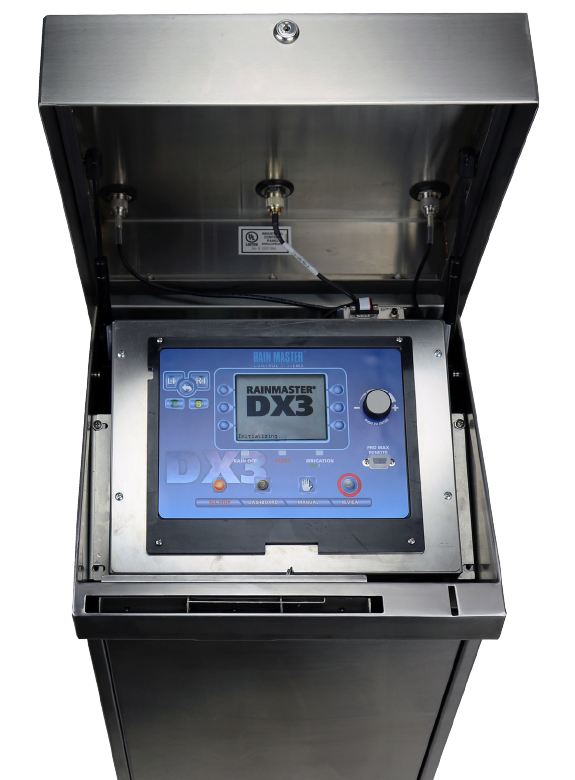 The Rain Master DX3 satellite, is possibly the most advanced, easy to use controller on the market. Its “Automatic Intelligence” takes corrective action, should certain system issues arise. Thus, the water management professional is equipped with the ultimate flexibility in “smart” irrigation central control and the water management tools to maximize returns on any project.